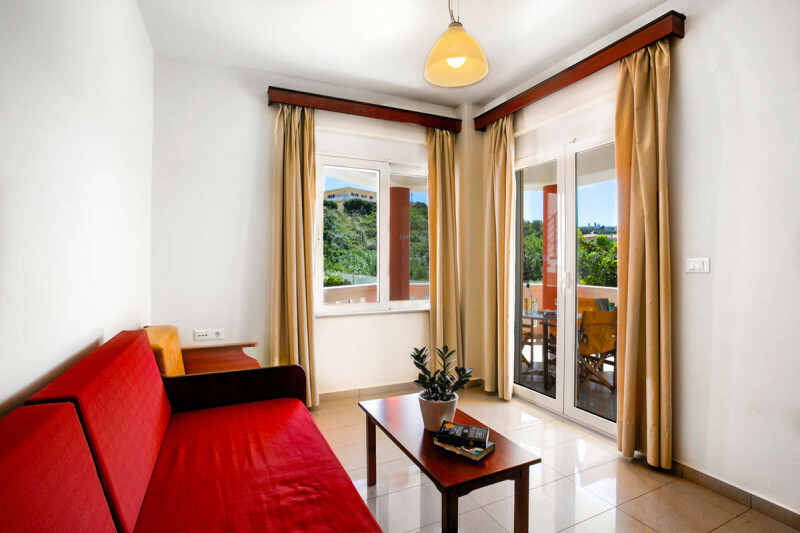 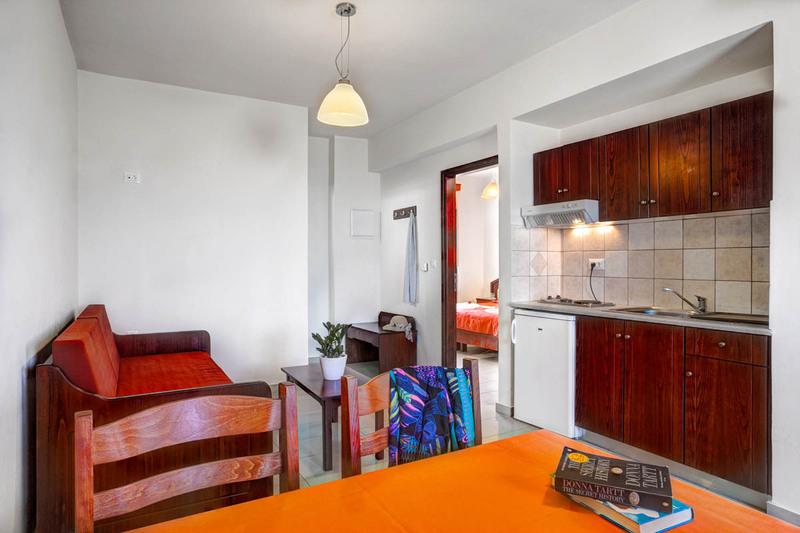 Spacious studios (25 m2) with fully equipped kitchen, bathroom and private balcony with view at the pool. 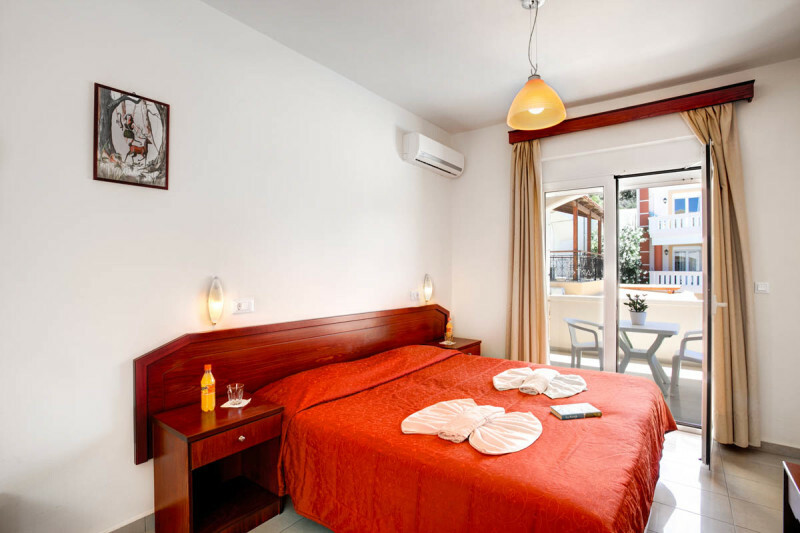 Air Condition, Safe Box, TV, cable and wireless internet are also available. 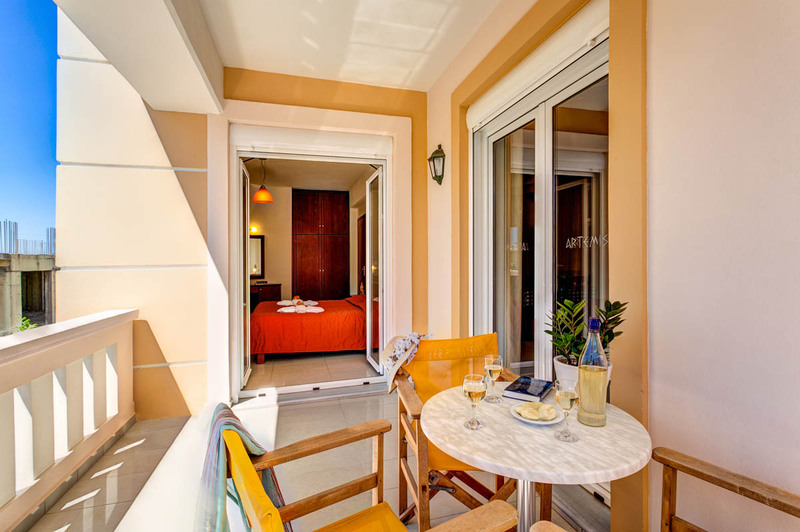 Ideal for couples or even for single use. 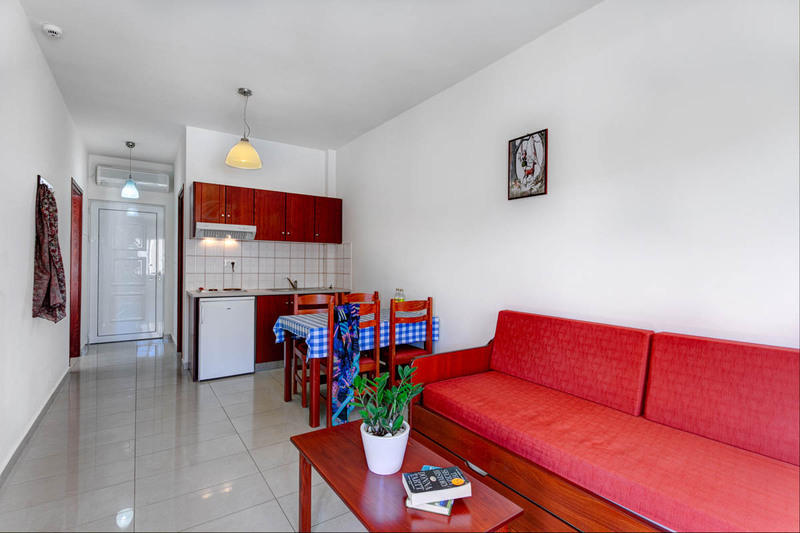 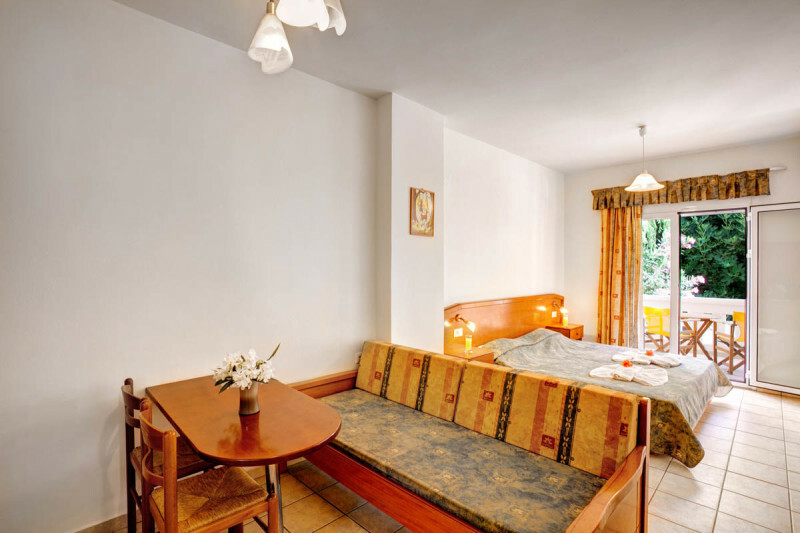 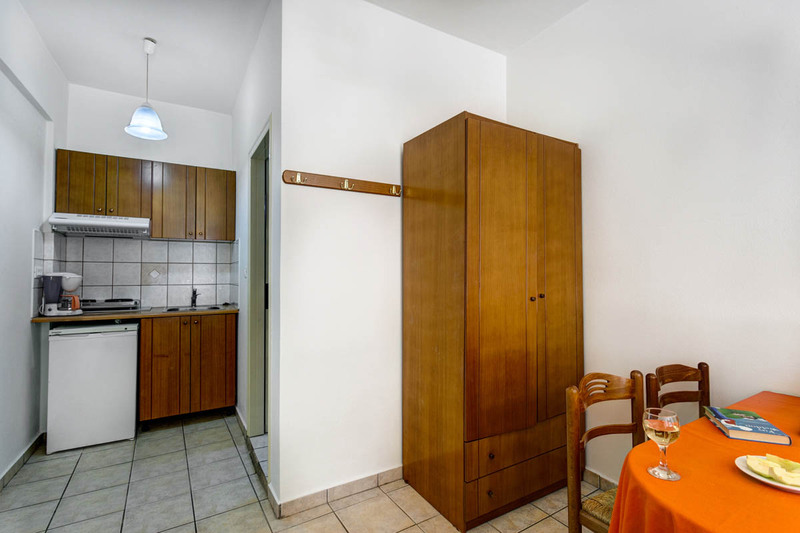 Spacious studios (~25 m2) with fully equipped kitchen, bathroom and private balcony. 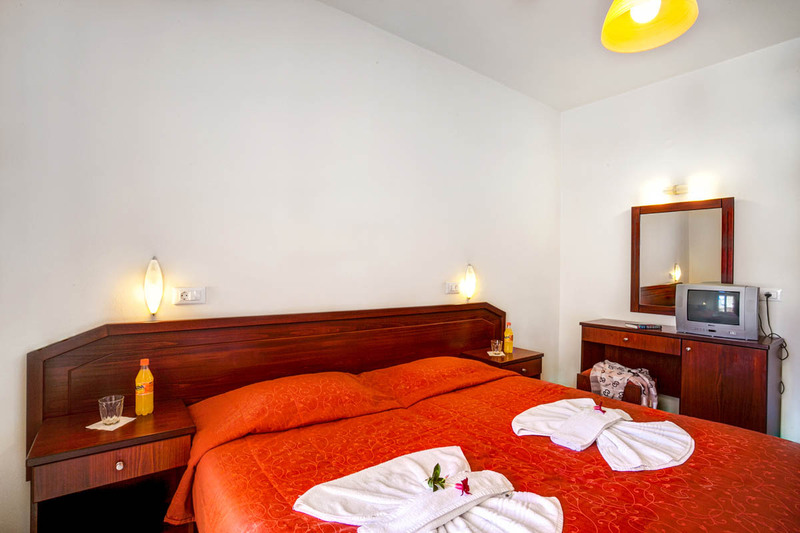 Air Condition, Safe Box, TV and wireless internet are also available. 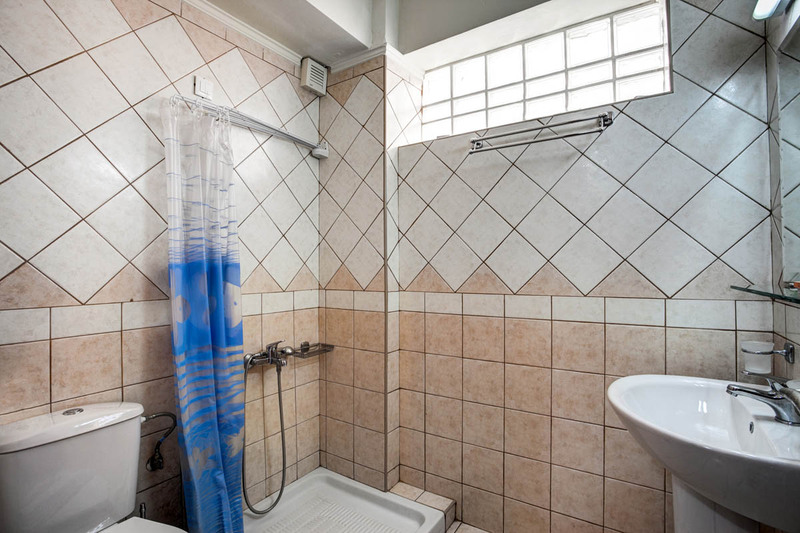 Ideal for couples or even for single use. 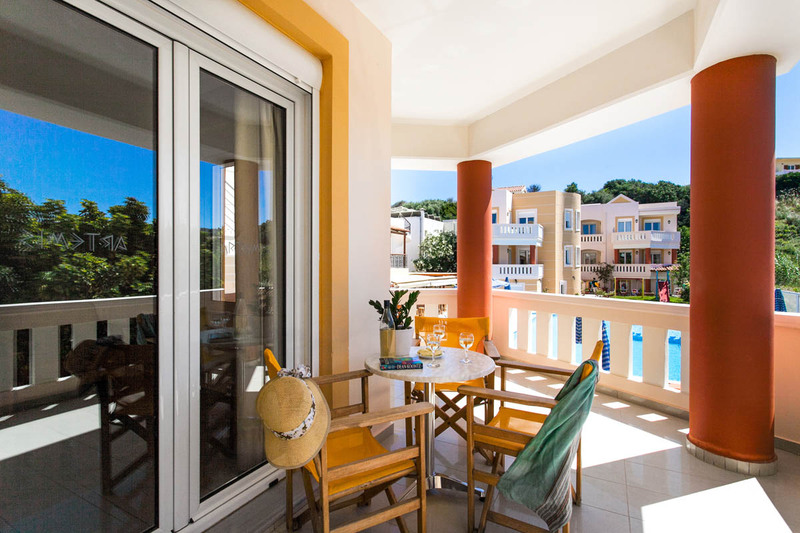 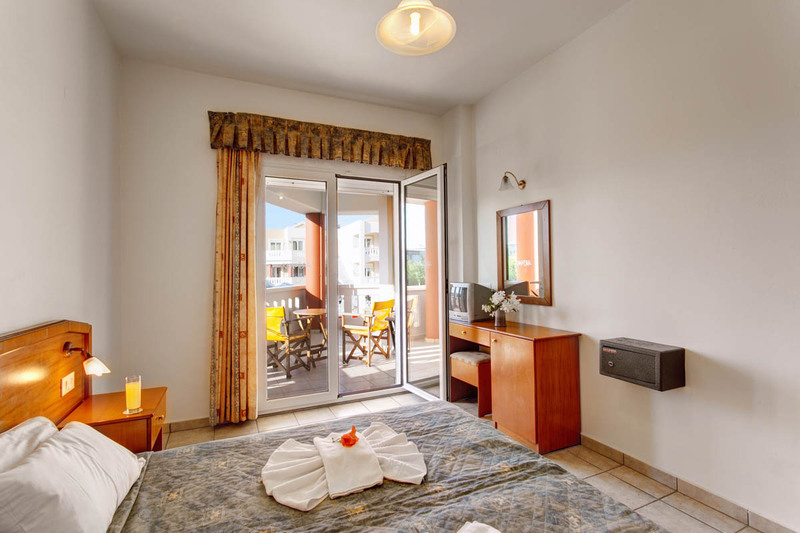 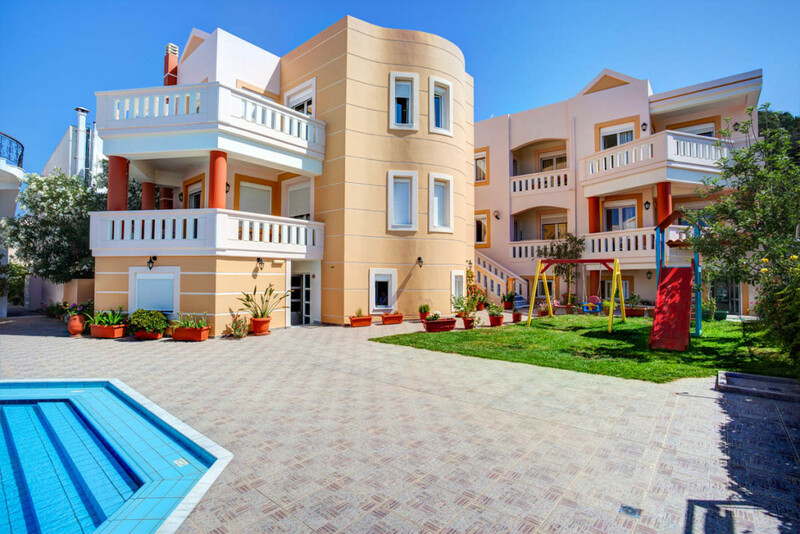 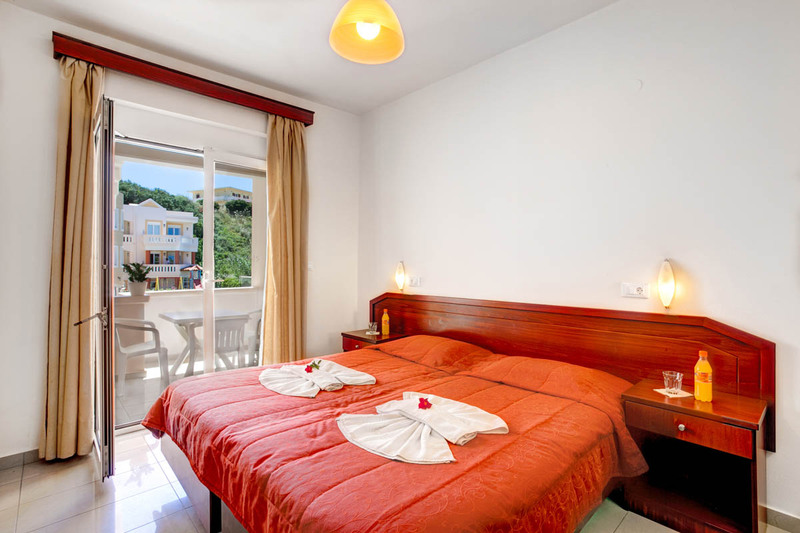 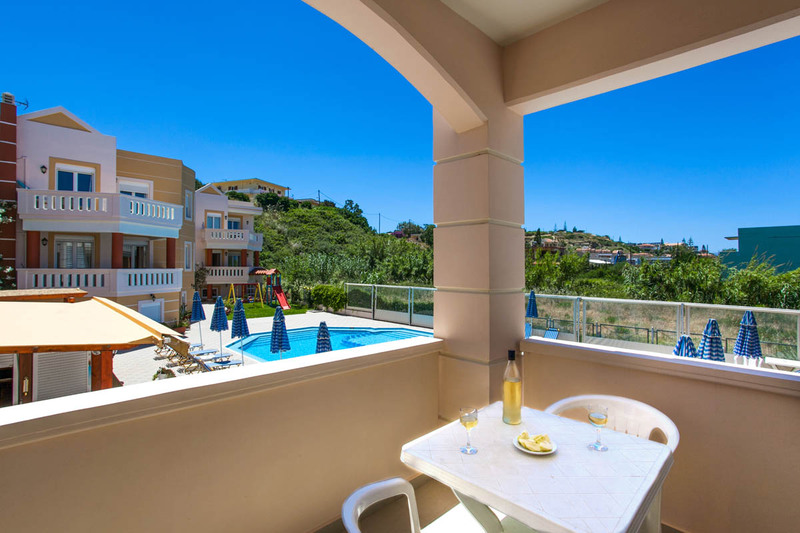 Large One Bedroom apartments 45-50 m2 with larger or smaller private balconies, all of them with view at the pool, fully equipped kitchen and bathroom. 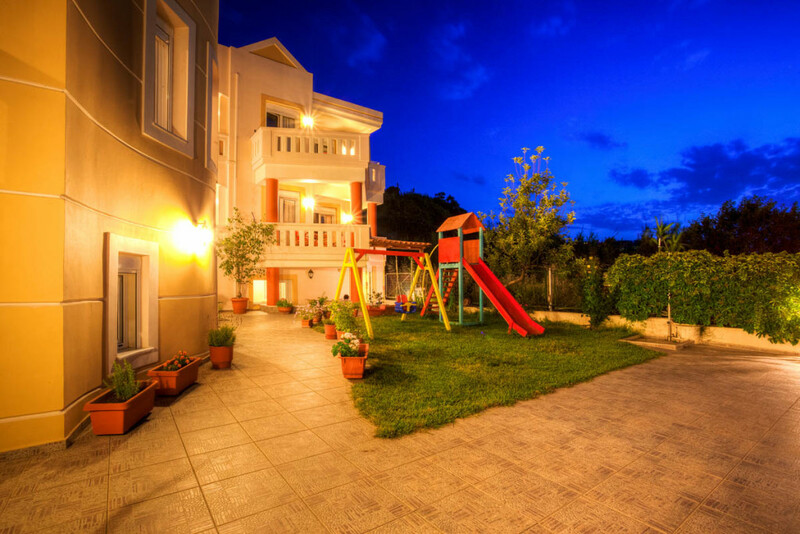 They can accommodate up to 3 to 4 persons (5th person upon request) making them ideal for families or groups of friends. 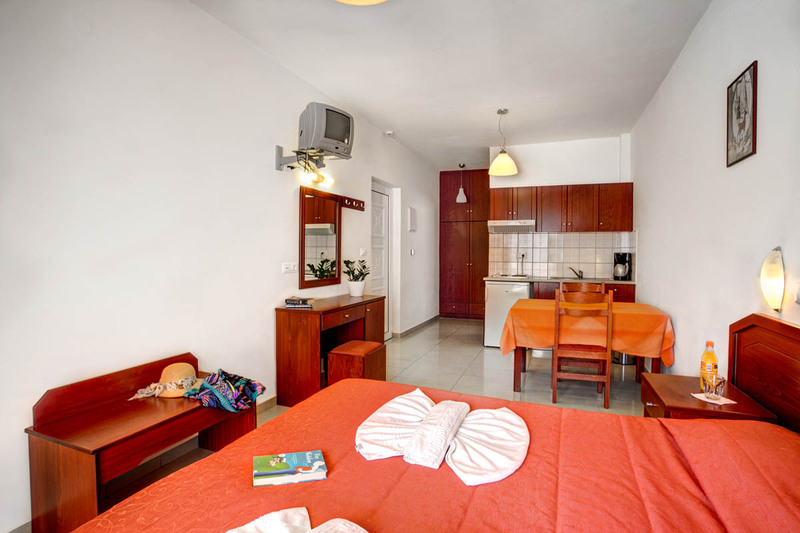 Air Condition, Safe Box, TV, cable and wireless internet are also available. 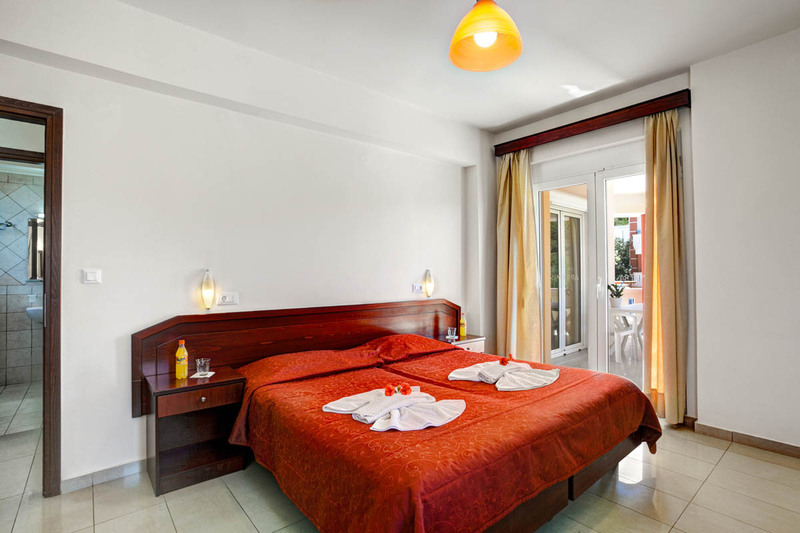 Cleaning every day, change of sheets and towels every third day (if not needed earlier). 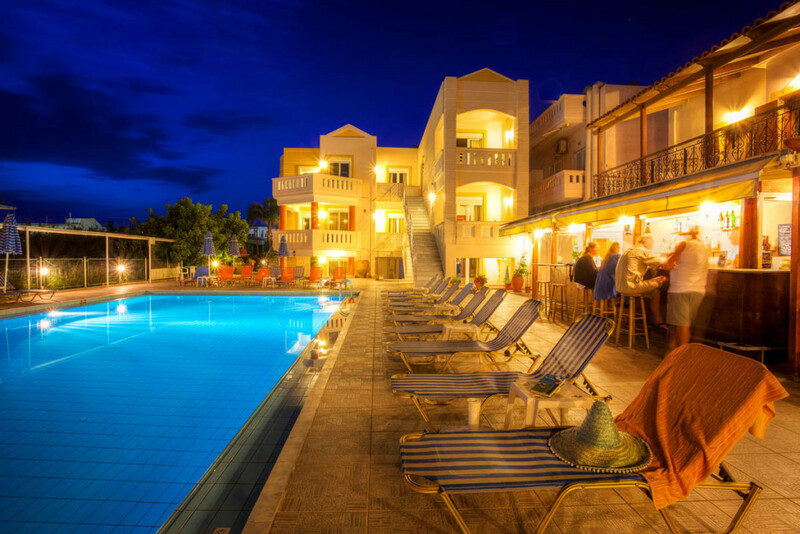 The coastal area of Kato Stalos is located 7 km west of the city of Chania and is fronted by a wide and long, well organized beautiful sandy beach which is awarded every year with the Blue Flag of the European Union. 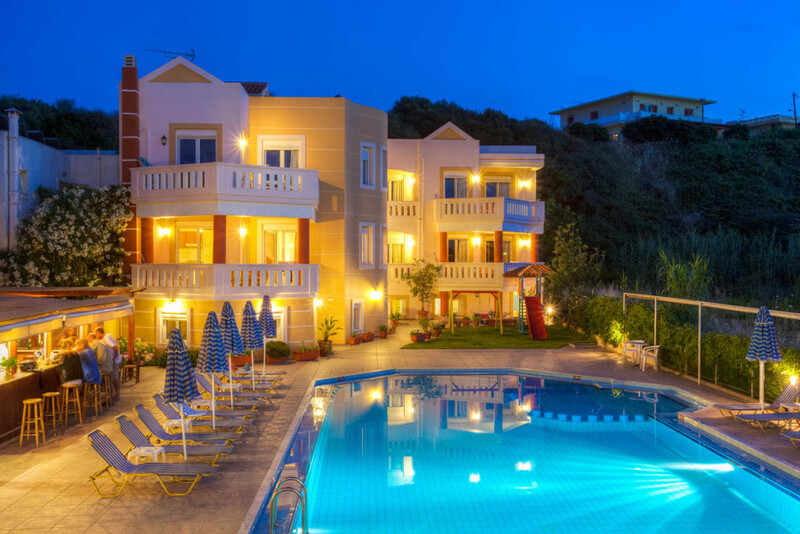 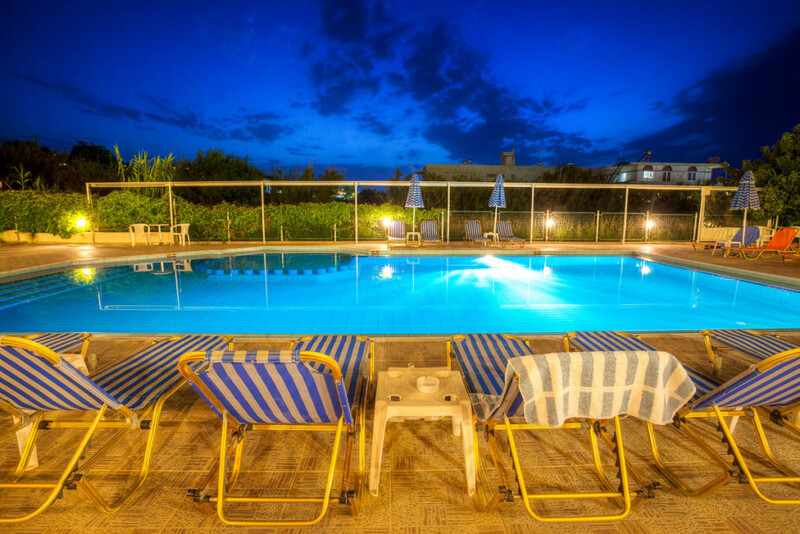 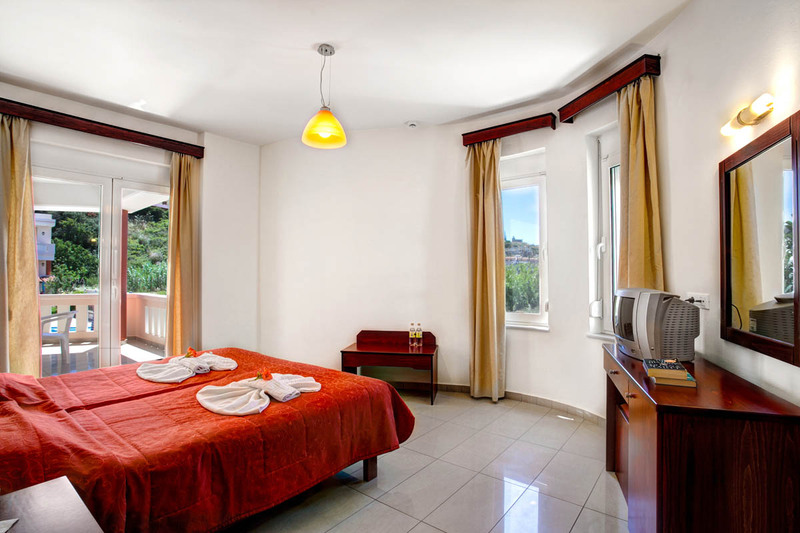 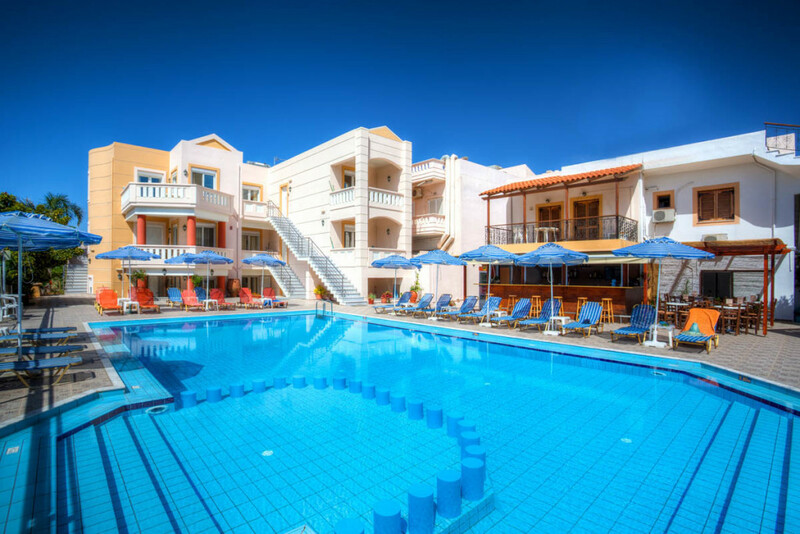 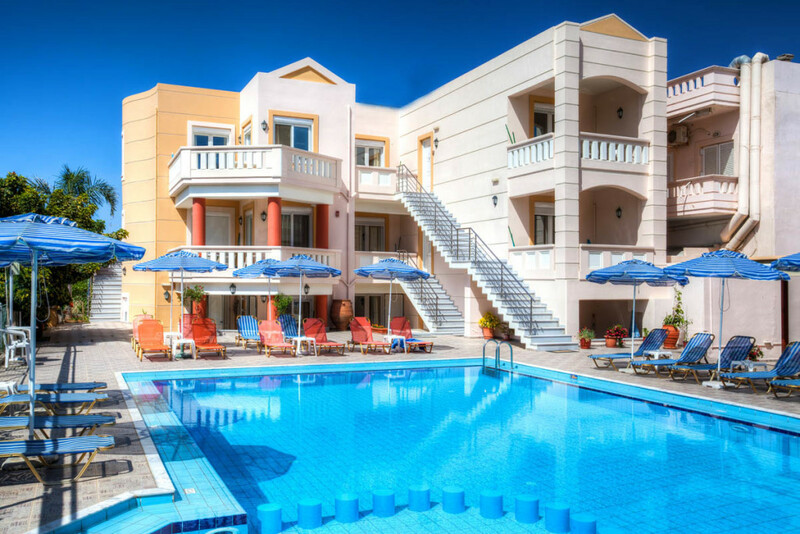 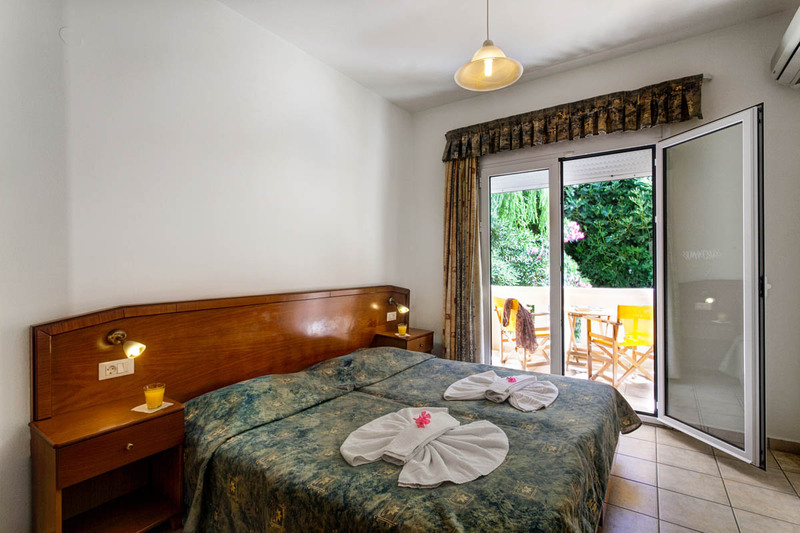 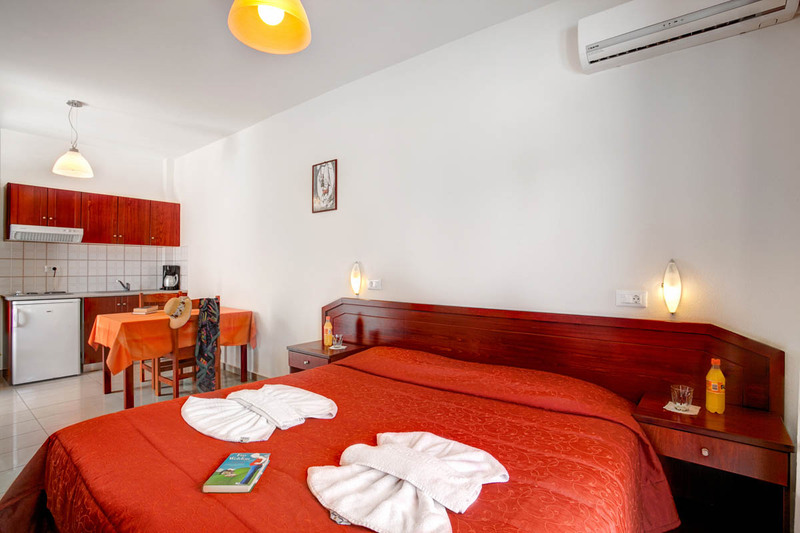 Our hotel is 27km away from the International Chania Airport (CHQ) and 15 km from Souda Port. 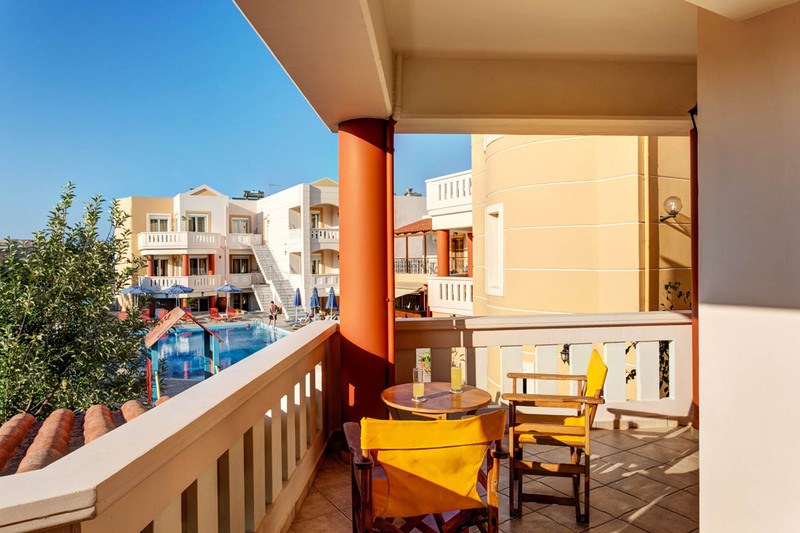 We are also very close to the exit of the National Highway (2km) from where you could start your excursions to many of the astonishingly beautiful destinations prefecture of Chania has to offer. 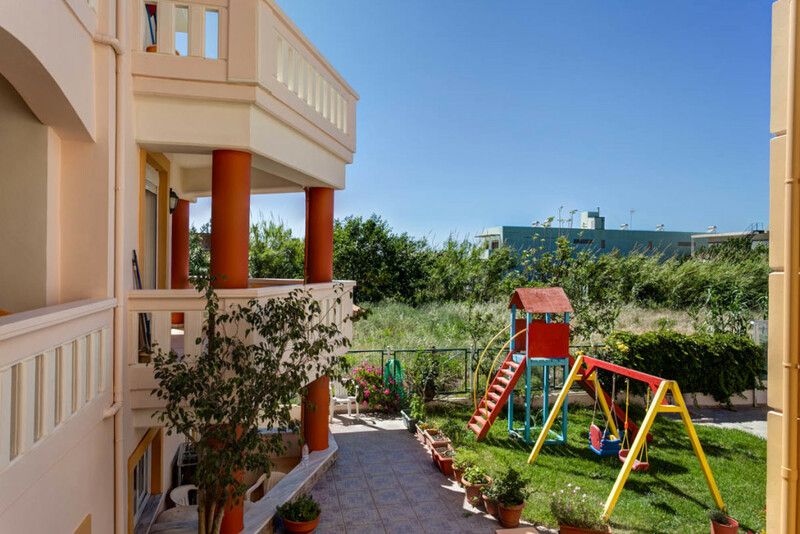 Also bus stops are just 100m away from our place, from where you can get to the City of Chania and other destinations around the island.